Dr. Naomi Ehrich Leonard, an alumna of the University of Maryland A. James Clark School of Engineering, will be honored for her research in the field cooperative control of autonomous vehicles at the annual Innovation Hall of Fame induction ceremony on November 9, 2015. An Edwin S. Wilsey Professor of Mechanical and Aerospace Engineering, Dr. Leonard is also an associated faculty member of the Program in Applied and Computational Mathematics at Princeton University. 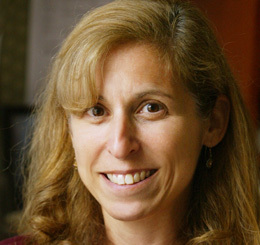 Additionally, she serves as director of Princeton’s Council on Science and Technology and is an affiliated faculty member of the Program in Quantitative and Computational Biology and the Princeton Neuroscience Institute. Dr. Leonard was among the first to investigate the simple rules that enable individual agents—whether living organisms or robotic vehicles—to work together in groups by coordinating decision-making, sensing, and motion. In her early work, through the forces of attraction, repulsion and alignment, the agent's responsive rules achieved the desired moving group formation. The group can climb gradients, track level sets in the sampled field, and realize motion patterns that maximize information in sensor measurements when the agents are responding to the environment. Dr. Leonard has applied her work to help explain the behaviors observed in animal groups and to design the decision-making behaviors of networks of autonomous vehicles in missions that include environmental monitoring and exploration. She led a multidisciplinary team in an effort to develop adaptive and sustainable ocean observing systems using the coordinated motion of a fleet of autonomous underwater gliders. A month-long field experiment, in Monterey Bay, Calif., provided an unprecedented data set and demonstrated the enormous potential of coordinated control of autonomous vehicles. Her experiments have produced myriad new theoretical investigations by a large community of academic researchers in engineering, mathematics, physics, and biology on topics ranging from geometric mechanics and control to social decision-making dynamics. She is also inspiring investigation at the intersection of engineering and art, as co-creator of Flock Logic, an art-making project that explores what happens when dancers carry out the rules used to model flocking birds. Dr. Leonard received a B.S.E. degree in mechanical engineering from Princeton University in 1985. She earned M.S. and Ph.D. degrees from the University of Maryland’s Department of Electrical and Computer Engineering in 1991 and 1994, respectively, with a major in control theory and a minor in communication theory. At Maryland, Leonard was advised by Professor P. S. Krishnaprasad (ECE/ISR). Dr. Leonard is a MacArthur Fellow and a member of the American Academy of Arts and Sciences. She is a Fellow of the Institute for Electrical and Electronics Engineers, American Society of Mechanical Engineers, Society for Industrial and Applied Mathematics, and International Federation of Automatic Control. This year marks the 30th anniversary of the Innovation Hall of Fame, which was first envisioned by Stanford W. Berman (B.S. '50) to recognize Clark School alumni, faculty, and associates who have pioneered many of the most significant engineering advances in the past century. Inductees include Robert Briskman, the co-founder of Sirius Satellite Radio, George Laurer, inventor of the Universal Product Code, and Brian Hinman, the innovator behind the Polycom SoundStation conference call device. For more information, visit www.eng.umd.edu/ihof. The 2015 White Symposium on the topic cooperative control of autonomous will be held immediately following the Innovation Hall of Fame induction ceremony. For more information, visit www.eng.umd.edu.